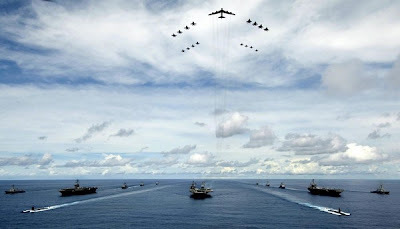 Transportation is one of the key feature that is essential in any military. For a country like U.S. which is considered as one of the super power, it does matter a lot. And no doubt that the U.S. government will invest a huge amount in it. 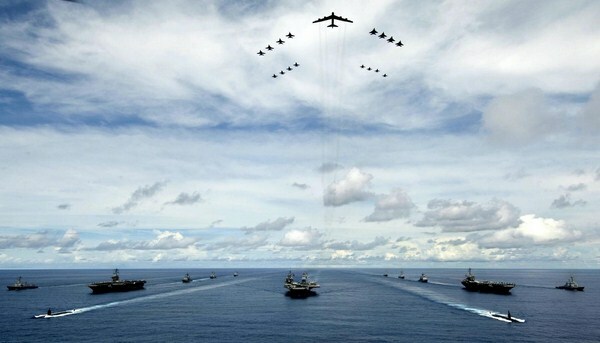 No other country on earth has a larger defense budget than the United States. According to the Department of Defense, its base budget for fiscal year 2010 is over $500 billion, with another $130 billion to bolster the War on Terrorism and another $33 billion in supplemental spending on top of that. And that's not to mention Homeland Security or nuclear arsenal maintenance. A lot of this money is spent on aircraft, tanks and ships, all of which are top of line and represent the furthest advances in military technology. In other words, they cost a lot of money. So, let's take a look at these top 10 most expensive vehicles of U.S. Military. The Bell-Boeing V-22 Osprey is a versatile aircraft with vertical takeoff and landing capabilities similar to those of a helicopter. However, it's much faster than any existing chopper and it can fly at speeds as high as those of conventional turboprop airplanes. It was first used for combat in 2007 in Iraq, and the Marine Corps intends to use them in Afghanistan by late 2011. Unfortunately, the Osprey was plagued by a series of accidents during its design and testing phase between 1991 and 2000, and during that period the aircraft was involved in multiple accidents that caused thirty fatalities. Since 2008, the Osprey program has cost $27 billion, and as of 2010, each unit has cost $67 million. Named for World War II veteran and former President of the United States, George H. W. Bush, the USS George H.W. 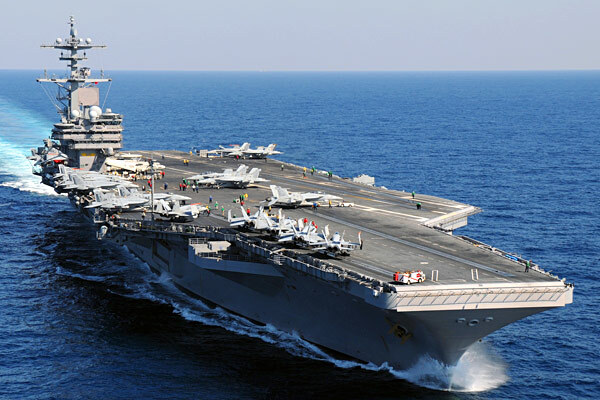 Bush (CVN-77) is the final Nimitz super carrier to be produced for the US Navy. 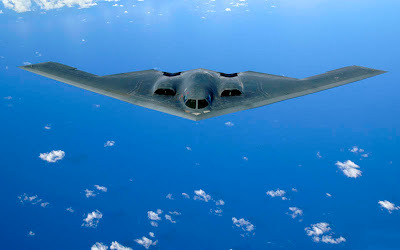 It was commissioned in 2001 and built by Northrop Grumman for a cost of $6.2 billion. The carrier was completed in 2009, and is docked in Virginia. At almost 1,100 feet in length, it's one of the longest warships in the world. Its top speed is over 30 knots, which it reaches with the help of two on board nuclear reactors. This power source is capable of keeping the ship running for more than twenty years without once having to refuel. The F-35 Lightning II was developed as part of a joint program between the US, the UK and other allies known as the Joint Strike Fighter program. It was developed for use in air, ground and reconnaissance missions, it has a wingspan of 35 feet and a length of over 51 feet. Its internal fuel capacity is over 18,000 pounds and it can reach speeds of 1,200 miles per hour. The F-35 Lightning II is armed with a 4-barreled Gatling cannon and eight types of missiles, and if all else fails, it also has a B61 nuclear bomb. The cost for one aircraft is $122 million. The US plans to purchase over 2,000 units, at a cost of $323 billion. When this deal was cut in 2001, it made Lockheed Martin the recipient of the largest military contract in history. 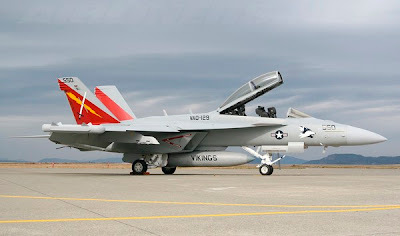 The F/A-18 Hornet was introduced by McDonnell Douglas and is manufactured by Boeing, who acquired the company in 1997. After making it maiden voyage in 1978, it was introduced in 1983 and since then, it has been used in a variety of capacities. It was used in Operation Desert Storm, and it’s the featured aircraft of the Blue Angels, the U.S. Navy’s Flight Demonstration Squadron. However, its primary functions are reconnaissance and air support. 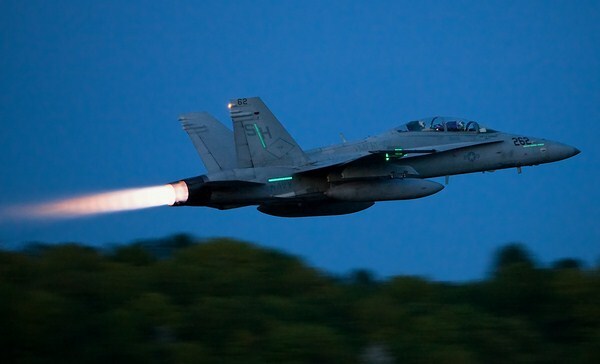 The Hornet can reach a maximum speed of 1190 miles per hour, and it can climb up to 50,000 feet in a minute. Outside of the US, the fighter is used by the armed forces of such countries as Australia, Canada and Switzerland, and it has appeared in the 1996 science fiction film Independence Day as the aircraft used to defeat the alien menace. A 2006 report by the US Navy estimated that the cost of one unit is $57 million. The Boeing EA-18G Growler is a carrier-based fighter used for electronic warfare. It can disrupt radar and jam an enemy communication system with electromagnetic radiation and directed-energy weapons. 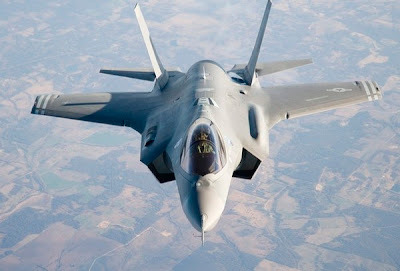 Because of its use as an electronic warfare fighter, it carries no guns, although it carries missiles for self-defense. 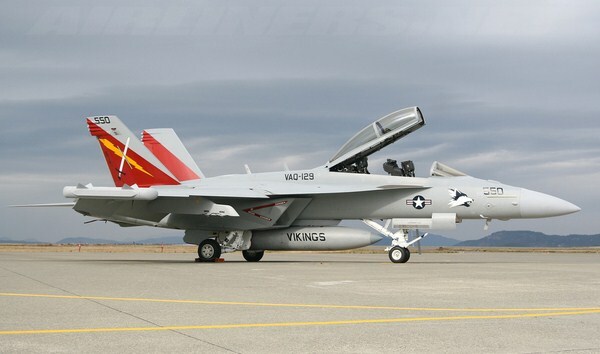 The Growler is a modified version of the F/A-18F Super Hornet, and it’s relatively new; it went into production in 2007 and only began operating in September 2009. The aircraft has a wingspan of over 44 feet and a length of over 60 feet. According to the US Navy, it costs $67 million to manufacture a single unit. The Expeditionary Fighting Vehicle had its fifteen minutes of fame when 2008 presidential candidate John McCain cited the amphibious assault vehicle as the basis for a costly program that was wasting billions of taxpayer dollars. 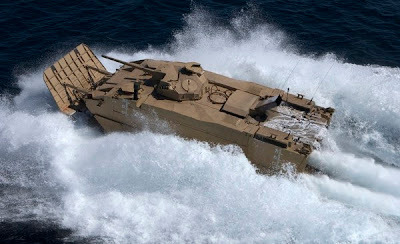 Developed for the US Marine Corps, it is deployed at sea and transports a full marine rifle squad to shore, then operates on land with the full capabilities of a tank. The Expeditionary Fighting Vehicle is manufactured by General Dynamics, and the cost for each unit is over $22 million. To date, the program, which is expected to be complete in 2015, has a project cost of $15 billion, $3 billion of which has already been spent. The Bowles-Simpson Commission has recommended that the program be cancelled, and Secretary of Defense Gates said in January 2011 that he believes the program should end. The E-2 Hawkeye is an airborne early warning aircraft that dates back to the 1960s. It has been upgraded to the E-2B and E-2C models when advances were made to its radar and communications capabilities, but the most recent model, the E-2D Advanced Hawkeye, is the most sophisticated yet. It features a new radar system that triples the craft’s ability to monitor territory. 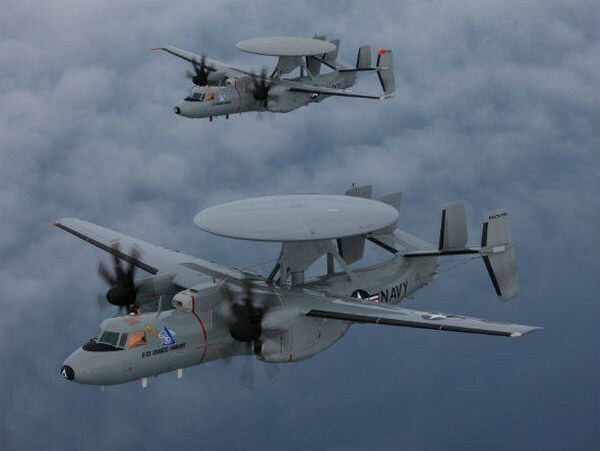 The E-2D Advanced Hawkeye, which took its first flight in 2007, costs $232 million to produce. It features a brand new avionics suite, complete with satellite communications capability, and the capability for midair refueling. According to Northrup Grumman, the aircraft began delivery to the US Navy in 2010. 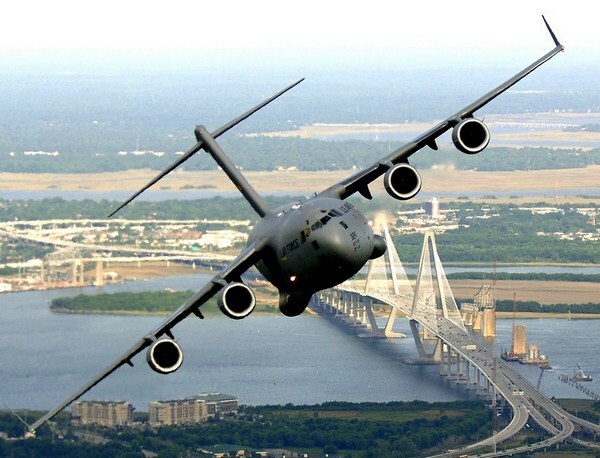 The C17A Globemaster III is a military transport aircraft in operation since 1993. The plane, which can drop over 100 paratroopers into a war zone at one time, has been used to move troops into Iraq and Afghanistan, and has also been used to deliver humanitarian aid and perform medical evacuations. The price for one unit is $191 million. McDonnell Douglas developed it during the 1980s for strategic and tactical airlift, and it’s used by the militaries of the U . K . and Canada, as well as by NATO. Both the United Arab Emirates and India are planning to use the aircraft as well. 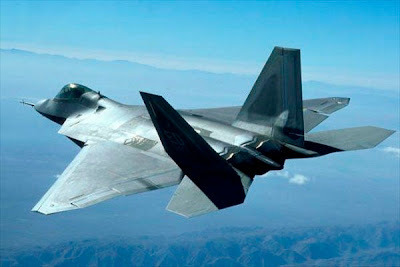 According to its manufacturer, Lockheed Martin, the F-22 Raptor is the best combat aircraft on earth. While this might seem tantamount to saying your son is brilliant, one look at the aircraft’s capabilities actually bears out the manufacturer’s statement. It can break the sound barrier, it can avoid detection by radar and it can shoot down cruise missiles. Unfortunately, an Air Force budget document estimated that one unit costs $150 million, with an overall program cost of $65 billion. The high price inspired the Defense Department to call for the program’s end in 2009. The Senate voted to end it in July of that year, and when the military policy bill was signed into law three months later, funding for further production of the F-22 had been cut.